Triumphant Victorious Reminders: December 15, 2010, "Connecting Bridge"
"has eternally awesome intricate plans and purposes; even when we think the little parts of our life are insignificant; our God reveals that He wants us to experience His great significance every moment of the day..."
Hi Teresa, I got here through Lloyd's blog. That is such a wonderful experience you had because you listened to the Holy Spirit. Praise God! I enjoyed this. Thanks for sharing. 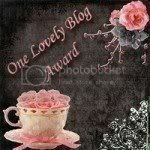 I really enjoyed your blog. We are your newest followers. You are welcome to come and check out our blog. Teresa, WOW!!! What a beautiful story. How many times did I head out to a store, without first asking God where He wanted me to shop. This is by far the most beautiful Christmas story I have ever heard! Merry CHRISTmas my dear sweet sister! Don't you just LOVE these moments? Hope you and yours have a WONDER-full Christmas. How cool to be God's bridge! I love being in the background of a "God Kiss." I thank God whenever He allows me to see first hand His glory in the small, everday areas of people's lives. Thank you for sharing such a beautiful moment! I pray you have a blessed Christmas, Teresa! That is such an awesome story, it is great when God use us in small ways to do things that are of great eternal significance.